Duncan Elliott Kirkwood believes that all families should have the same types of choices for their child’s education, regardless of the family’s income or zip code. Kirkwood, Alabama Director for the Black Alliance for Educational Options (BAEO), joined me for a frank discussion about school choice in Alabama in the most recent installment of “Get Connected” on The Alabama Way. When asked about what types of school choice BAEO supports, Kirkwood was quick to say, “We support traditional public schools.” BAEO also supports magnet schools, homeschooling, scholarships for students “trapped” in failing schools, and public charter schools. Kirkwood believes that no one option can be a magical solution, but that having options empowers parents to make a choice about what educational setting is best for their children. Acknowledging that there is pushback about expanded school choice here in Alabama, he explained that the black community in general distrust the white Republicans who are pushing charter schools and tax credit scholarships. That distrust comes from years of racism that white leadership in Alabama has shown toward the black community. As an example, Kirkwood said he knows that some boards of education of public schools have flat-out said they will not support charter schools. BAEO is trying to work with those boards to help them understand how charter schools work. He wants those board members to understand that charter schools are not something that’s happening to them, but rather something they can be a part of to improve education in their communities. 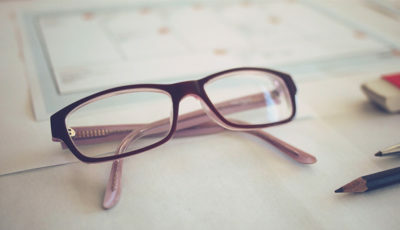 Acknowledging that traditional teachers’ professional associations are fearful of charter schools entry into Alabama, he believes the addition of charter schools doesn’t need to be adversarial. He sees teachers as part of the solution. There is too much at stake to accept the status quo. Kirkwood warned “of every two black boys you see, only one will graduate.” The Schott Foundation released a report showing that 56.7% of black males graduated on time (within four years) in 2012-2013. While the Alabama State Department of Education does not provide graduation rates by gender, a look at graduation rates for the class of 2014 showed that on average, 8 out of 10 black students graduated from their Alabama high school in four years. But the graduation rate for black students ranges from 67% to more than 95%, depending on the school system. Again, this rate is for males and females together. 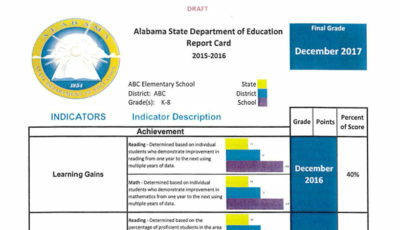 Kirkwood’s frustration over what he sees as misinformation surrounding the Alabama Accountability Act (AAA) is evident. After explaining the parts of the law, including the flexibility and innovation portion, he shares BAEO’s experience with tax credit scholarships. BAEO assists parents with that decision-making process and takes families on site visits to help them better evaluate private school options. If the family chooses to send their child to a private school, BAEO will help the family obtain a scholarship through one of the scholarship granting organizations (SGOs) in Alabama. While he prefers that education not be politicized, where politics is concerned, Kirkwood is encouraged because after having zero black Democrats vote for the AAA when it was passed in 2013, sixteen black Democrats voted to raise the cap from $25 million to $30 million during the 2015 legislative session. When the discussion turns to charter schools, Kirkwood starts with “Charter schools are public schools. Let me say again: charter schools are public schools”. He sees charter schools as a place where teachers and school leaders are free to teach and reach children in a way not available in traditional public schools. He gave examples of charter schools that are serving their students well, including 100 Black Men of Memphis’ Academy of Health and Science, a KIPP school in Atlanta that teaches children about African culture, and Delta Sigma Theta’s charter school in Detroit that focused on social justice. He wants Alabamians to look at these types of schools and determine if these types of schools can help improve education in their communities. Kirkwood’s passion about school, um, parent choice is infectious, and when he speaks about the oft-repeated lamentation that charter schools “cherry-pick” the best students, he tells us we should be offended. He explains why: when people see low-income students be successful in charter schools, they assume that the only way those low-income children could be successful is if the charter school “skimmed the top” and took all of the straight-A students. To Kirkwood, that means that folks didn’t believe that the kids in the public non-charter school could be successful. And further, that the charter schools took the “rarities, the anomalies” and that the other kids left behind just can’t learn. Kirkwood rejects that premise and believes that if kids are failing, and schools are failing that changes need to be made, period. “We don’t need to accept it and blame parents”. 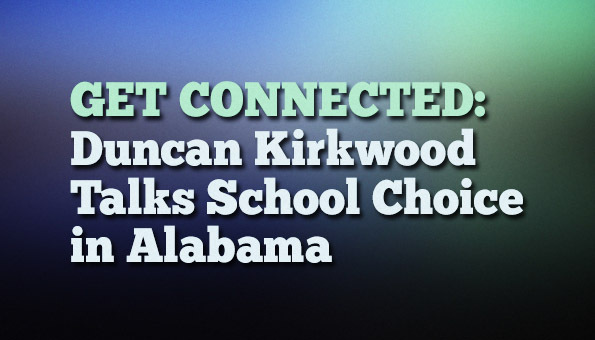 According to Kirkwood, opening up the public education landscape to charter schools is good for Alabama’s families. To that end, BAEO will continue to convene families to educate and empower families to make the right educational choices for their children. 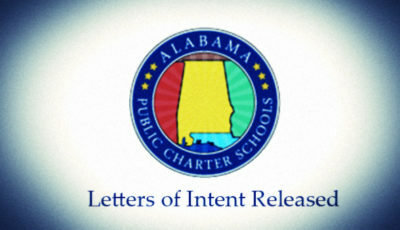 He wants to see charter school operators, such as KIPP or Rocketship, who are experts in educating children in low-income families come to Alabama. 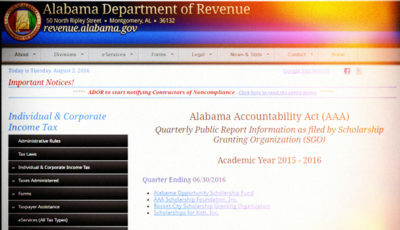 He believes these organizations can make a real difference for Alabama’s children. Time will tell. Until then, let’s stay on top of this, okay? Here’s the entire segment. While I’ve transcribed much of our interview here, there is much that I didn’t include. Worth your time to listen in.